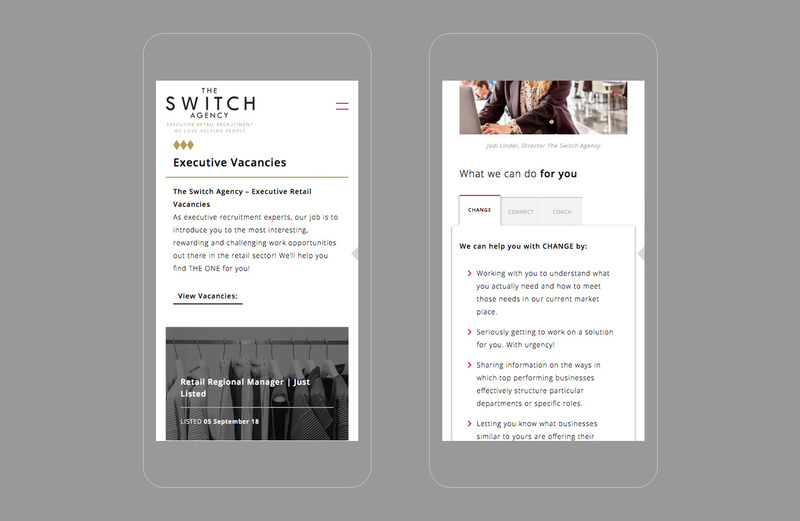 Are Executive Talent Search and Recruitment Experts. 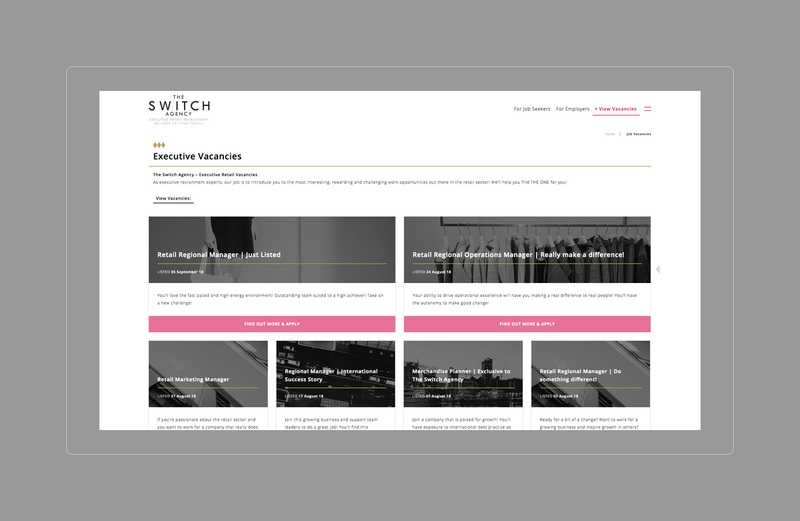 The Switch Agency is a boutique talent search and recruitment agency to be able to offer tailor made recruitment solutions. 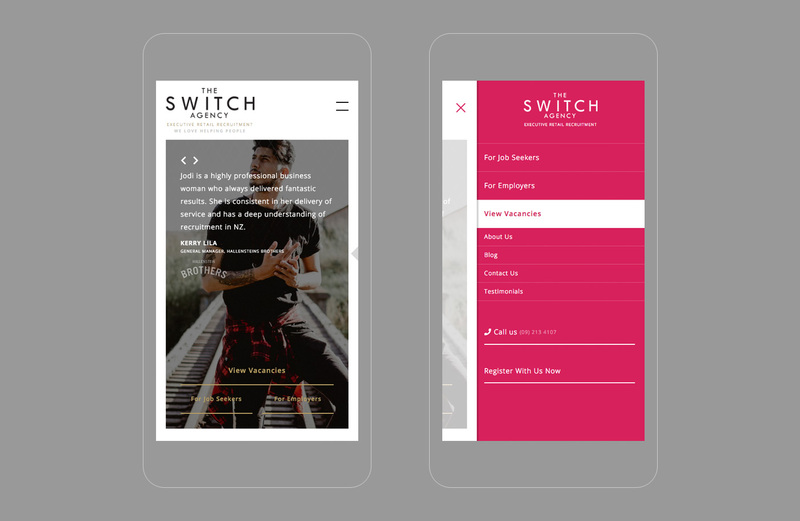 They take the best of traditional and contemporary recruitment methods and switch them up a notch. 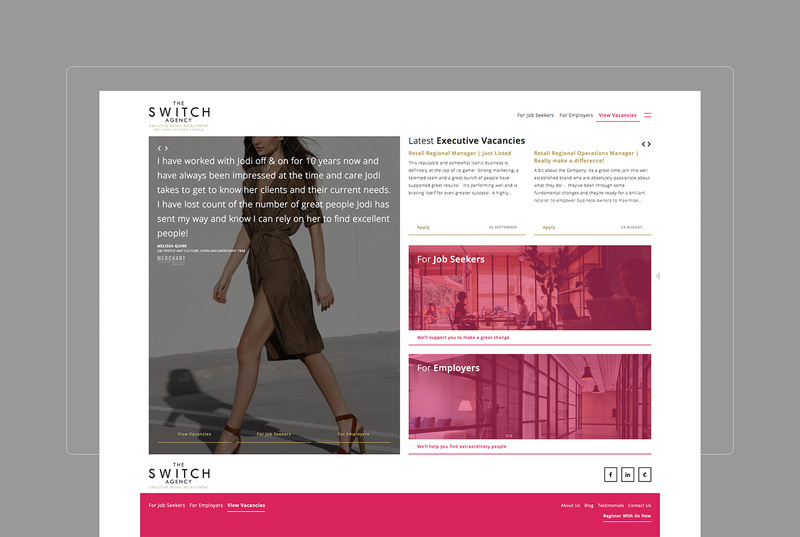 I designed and developed the new website and brand for The Switch Agency.